Our friends over at Custom SLR are having a Black Friday Sale! Sale starts 11/22/2018 at 12:01AM PST and ends on 11/24/2018 11:59PM PST. Get a FREE C-Loop HD (CLHD) Gunmetal with purchases of $50 or more. You don't have to do anything to receive the extra gift. Just add enough products to your cart to see it equal more than $50 before taxes and shipping, and they'll take care of the rest! And if you missed out on the Black Friday Sale, there will be 40% OFF Everything Sale starting 11/24/2018 at 12:01AM PST and ends on 11/26/2018 11:59PM PST. Use coupon code "BF2018" to apply discount. As a Black Friday Special, Skylum is offering bonus items with their popular Aurora and HDR 2018 photo editing software. Both applications are discounted by $10 and you get an addition $10 discount with our exclusive coupon code "1KIND". Get Luminar 2018 for $49 with our code "1KIND", with the all-new AI Sky Enhancer now and update to Luminar 3 with Libraries for FREE. Plus, you’ll get a bunch of exclusive extras worth US$222. 3-month membership on Stuck In Customs Passport. Once a year Peak Design runs a big ol' sale, and that time has nearly come. 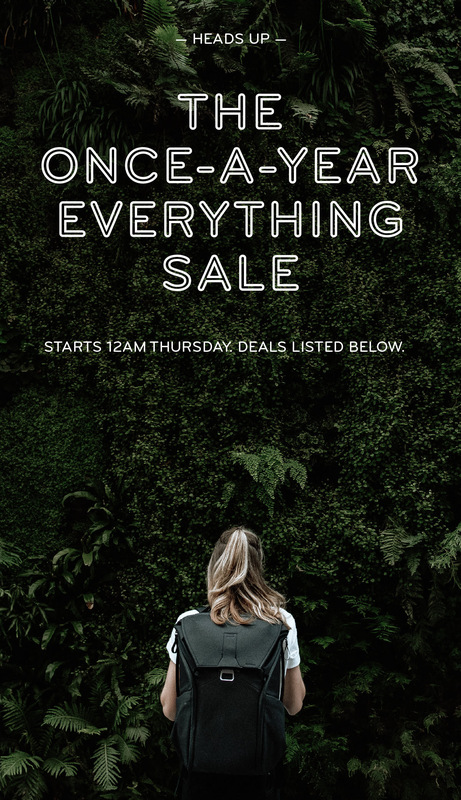 Beginning 12am PST on Thursday (11/22/2018) to 11:59pm PST on Monday, everything on their site (and in their Flagship Store) will be on sale*. They even got a bundle deal on their new Travel Line, which will begin shipping this week. Deals aside, it's business as usual: fast global shipping, 30-day returns, and a lifetime guarantee on everything. *See sale offers below. No additional discount to items in the "Bundles" category. Discounts cannot be retroactively applied to past orders, or applied to EPP/IPP orders. Travel Line orders on peakdesign.com are expected to begin shipping Tuesday, Nov. 20th. 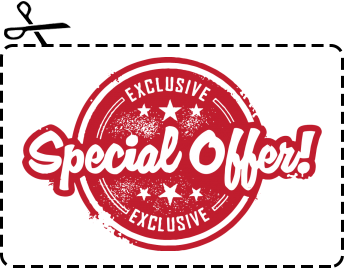 Don't forget to check out our EXCLUSIVE: Discount Coupon Codes and Deals. 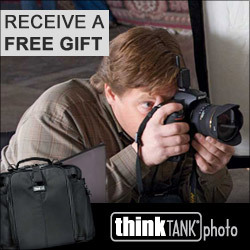 Our friends at Think Tank Photo just announced their Black Friday specials. It will put its popular Airport Advantage Plus rolling camera bag on sale at 50% over Black Friday weekend. In addition, several of its most popular camera bags will be on sale at 40% starting on Black Friday and through December 2nd. And don’t forget, by using my special Web link when ordering, you will receive a free gift and free shipping on top of the discounts! 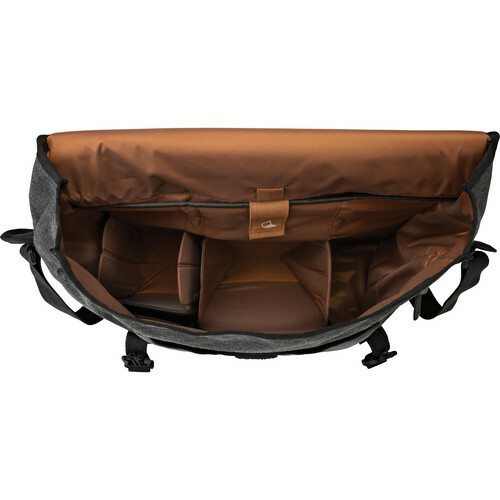 The Airport Advantage Plus rolling camera bag is designed specifically for traveling photographers. By it complying with international carry-on size and weight requirements, you can keep your most valuable gear safe and near you when flying. On sale at 40% through December 2nd are Think Tank’s Spectral shoulder bags, UltraLight backpacks, Signature shoulder bags, Sidepath backpack, and Multi-Mount holsters. The UltraLight backpacks are the lightest weight photo backpacks on the market. The Signature shoulder series are designed for wedding and other event photographers who seek a more elegant and discreet shoulder bag. As one of its daily deals, B&H Photo Video offers the Dracast Yoga Series LED500 Bi-Color Flexible Panel for $169 with free shipping. It comes with a Dracast V-Mount to Dual NPF Converter. 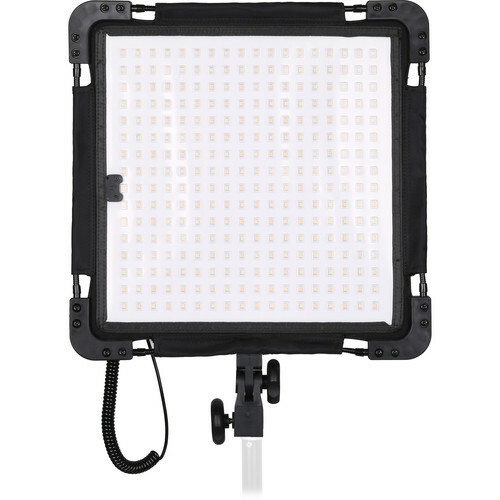 The panel measures 13.78" x 13.78" and features a color temperature range of 3200K to 5600K, 120° beam angle, and 288 surface-mounted LEDs. Deal ends today. Photolemur is having an awesome deal! You can save 50% off the Photolemur 3 family license today and tomorrow. The family license allows you to activate the software on up to 5 devices. Click this LINK to find out more information on the Photolemur 3 now! If you missed out on Peak Design's latest Kickstarter campaign on their new Travel Line Backpack, Camera/Packing Cubes, Tech/Wash Pouch, etc., you can now place your preorder through Peak Design's website. Shipping will begin in December. 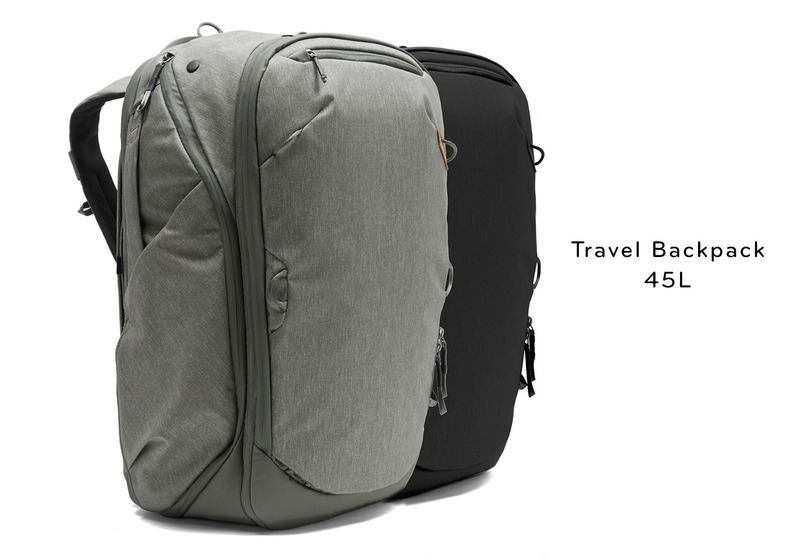 Travel Backpack 45L (MSRP: $299.95); a complete system of Packing Tools. With a focus on versatility, organization, and access, the Travel Line aims to satisfy a simple design directive: no two trips are the same, so the best luggage should adapt to them all. It will come in Black and Sage colorways. 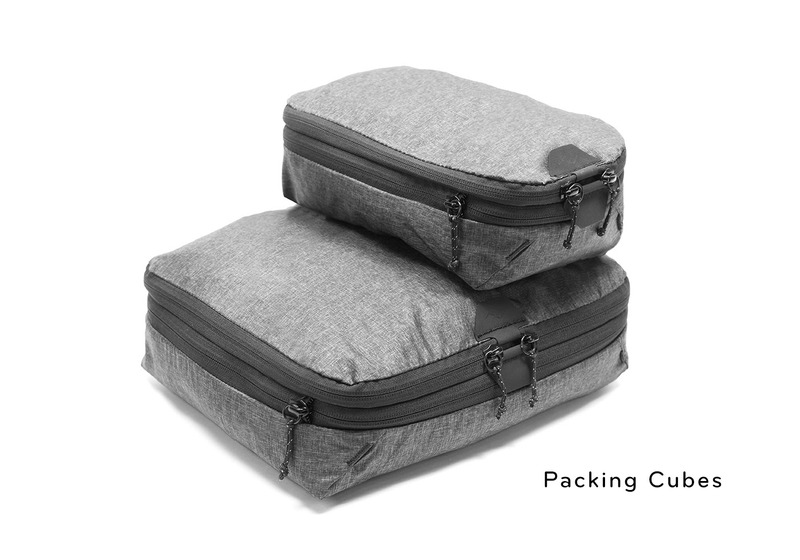 Packing Cubes (MSRP: Sm - $29.95, Md - $39.95) – Compressible, easy to access, and dividable, Peak Design Packing Cubes are available in 2 sizes. A tear-away main zip lets you access contents instantly, and an internal divider allows separation of clean and dirty clothes. An expansion/compression zip doubles available space or compresses clothes so you can fit more in your bag. 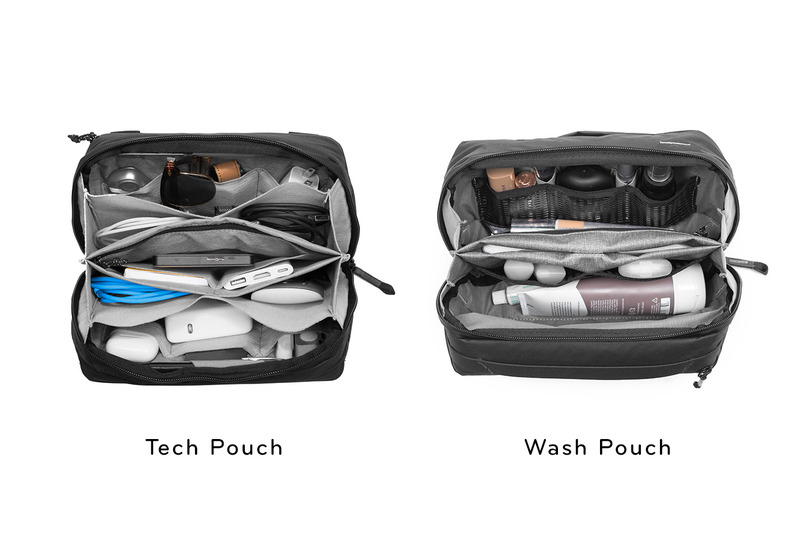 Wash Pouch (MSRP: $59.95) – Dedicated, easy-to-clean pockets for toothbrush and razor. Hangs or sits upright on sink for easy access in tight spaces. Unique folding pocket layout keeps toiletries neatly organized and easy to find. Tech Pouch (MSRP: $59.95) – Designed to store small items like cables, cards, batteries, and travel essentials, Tech Pouch’s unique origami-style pockets create enormous spatial efficiency. Pack more into a smaller space, yet keep all items organized and easy to find. Camera Cubes (MSRP: Sm - $49.95, Md - $69.95, Lg - $89.95) – Camera Cubes provide protection, organization, and instant access to camera, video, and drone gear. Securely mount Camera Cubes inside the Travel Backpack and access your gear via the rear or side zips. 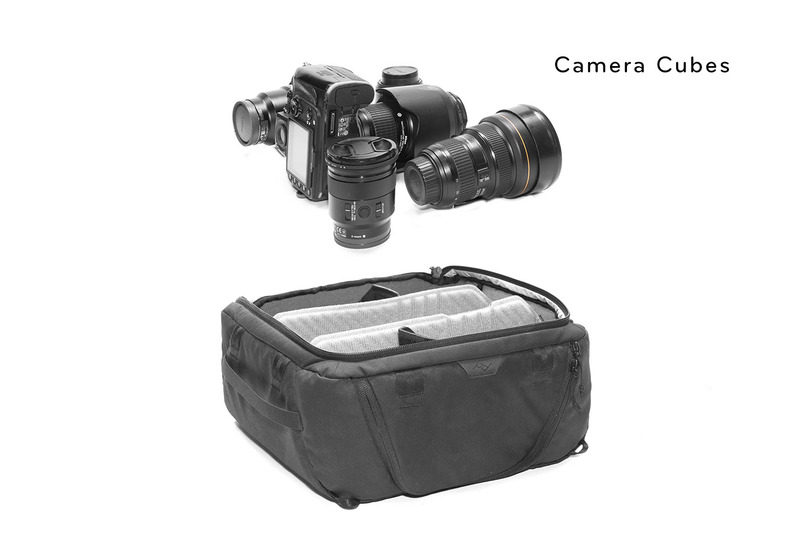 Tuck-away lids let you access camera gear from outside of the bag via a single zip, while a system of intelligently designed dividers allows for endless organization and customization. Shoe Pouch (MSRP: $24.95) – An ultralight, durable, weatherproof pouch for shoes or additional clothing storage. Rain Fly (MSRP: $29.95) – Provides complete waterproof protection to an already weatherproof bag. Rain Fly is made of durable, ultralight 200D. 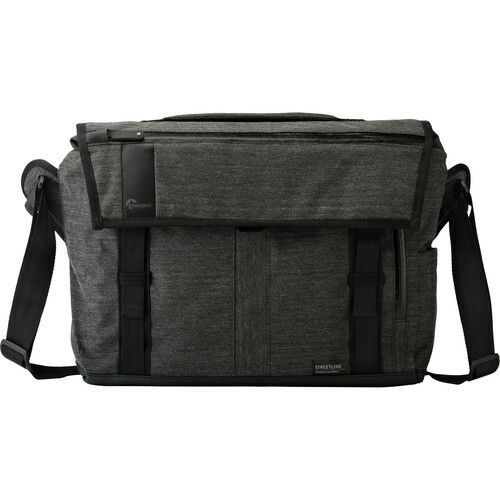 Today only, B&H Photo has the Lowepro StreetLine SH 180 Bag (Charcoal Gray) on sale for $49.95 with free shipping. Compare at $100.95. 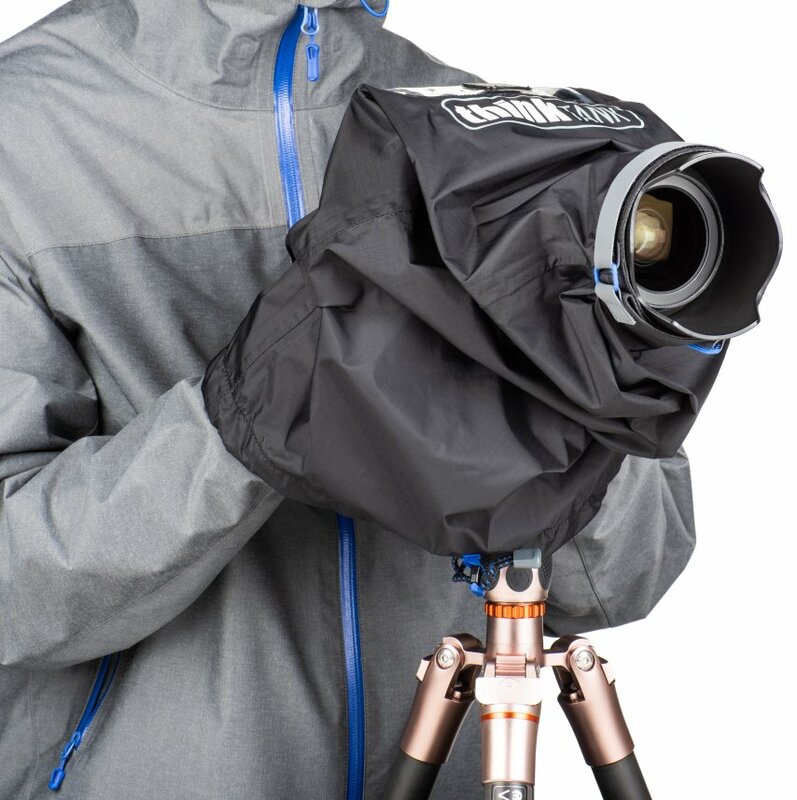 Our friends at Think Tank Photo have released two new concepts in camera gear protection. The Emergency Rain Covers, that come in two sizes, are small, lightweight, fast-deploying protective covers you can have on hand when weather conditions change swiftly and you need to protect your bodies and lenses. The Lens Case Duos are protective lens sleeves that can be used both when transporting your lenses in transit and while shooting. They are available in a range of sizes to fit most DSLR and Mirrorless lenses. Don’t forget that when you use these special URLs you will receive free gear and free shipping on all orders over $50. Continue reading for full press release. 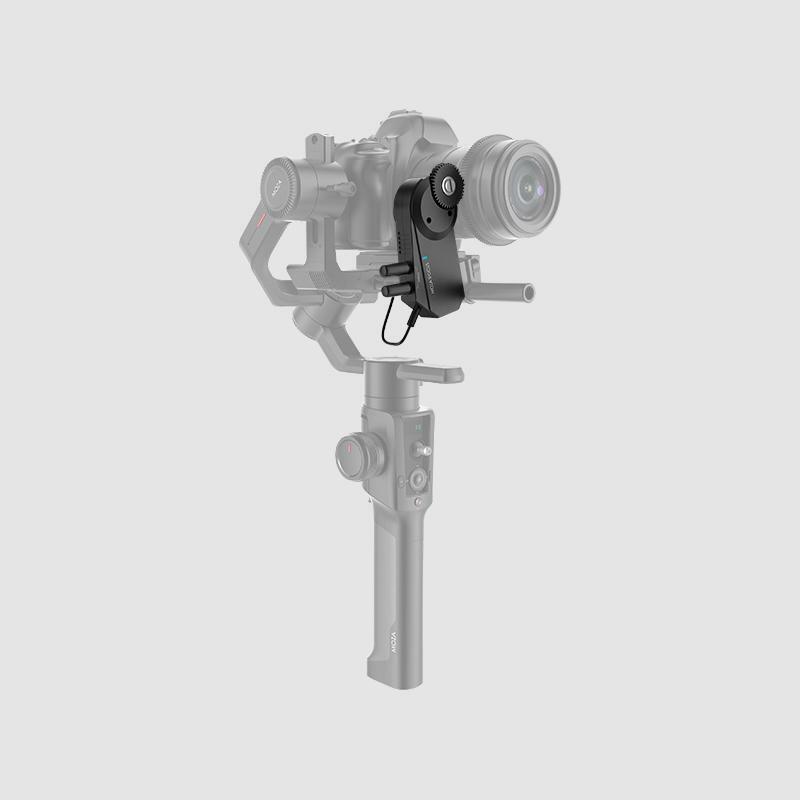 As technology advances and new motorized gimbals are being released. 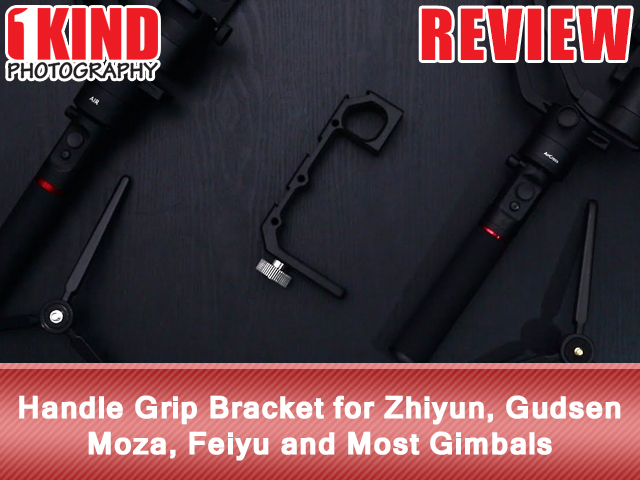 Ever since the release of the Zhiyun Crane 2 offering the ability to carry 3.2kg payload, the competition to one up each other is heating up. Gudsen released the MOZA Air to match it, followed by DJI's Ronin-S, which can handle 3.6kg with new angled motor placement. Now, Gudsen has announced the new MOZA Air 2 which takes a whopping 4.2kg. 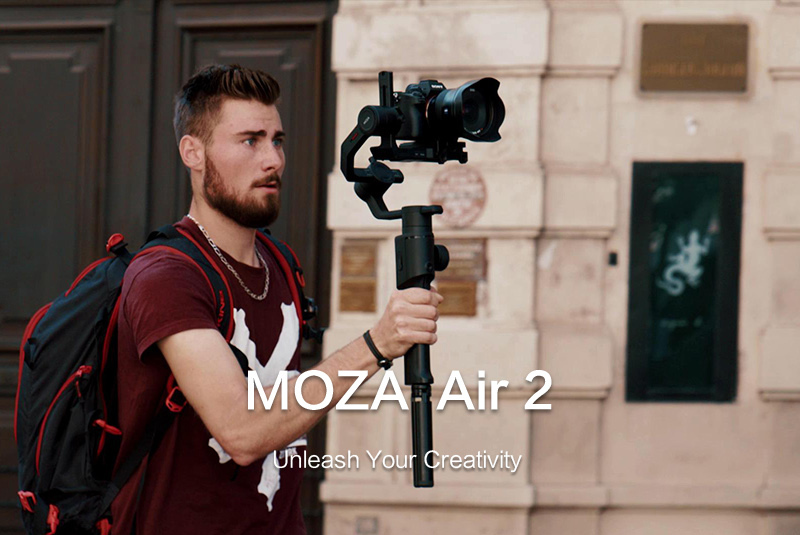 The new MOZA Air 2 weighs 1.4kg itself and is 100g lighter than the DJI Ronin-S (reviewers have said that the Ronin-S is a heavy gimbal), while the Crane 2 is 1.25kg. The 1.4kg MOZA Air 2 is heavier than its predecessor which weighed in at 1.1kg. In addition to load capacity, the MOZA Air 2 has increased battery life over the MOZA Air going from 12 hours to 16 hours on a single charge. 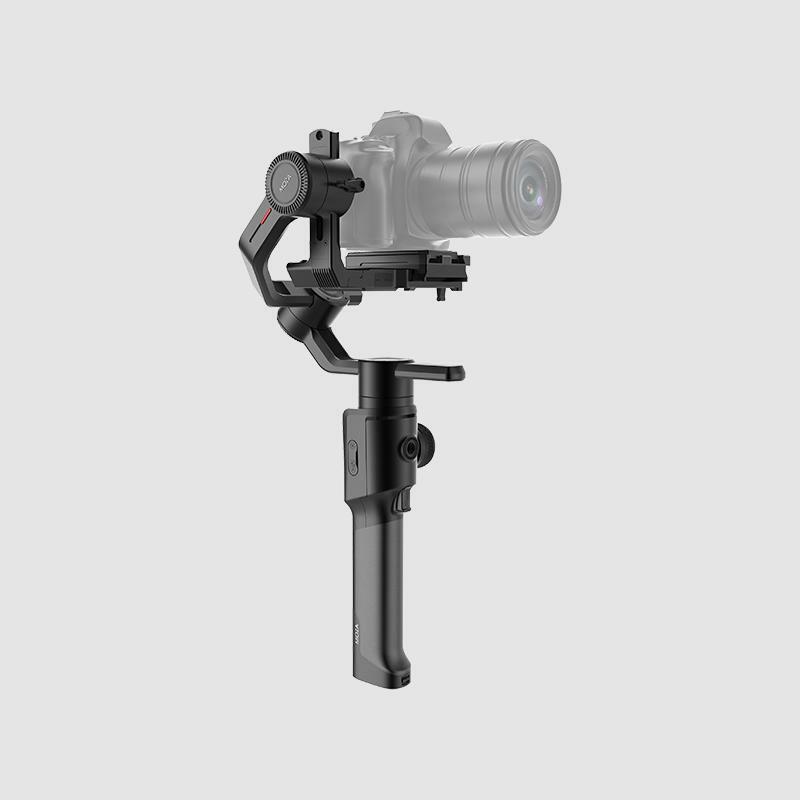 The gimbal can also power Nikon, Canon, Sony and Panasonic cameras as well. There is also a follow focus wheel on the MOZA Air 2 which seems to a standard these days. And it also comes with 8 follow modes. It seems like they're rather accurate, too, claiming a 0.05-0.1° deviation when in motion, and 0.01-0.03° deviation when static. There's built in Bluetooth, 2.4Ghz wireless, and a USB Type-C socket. 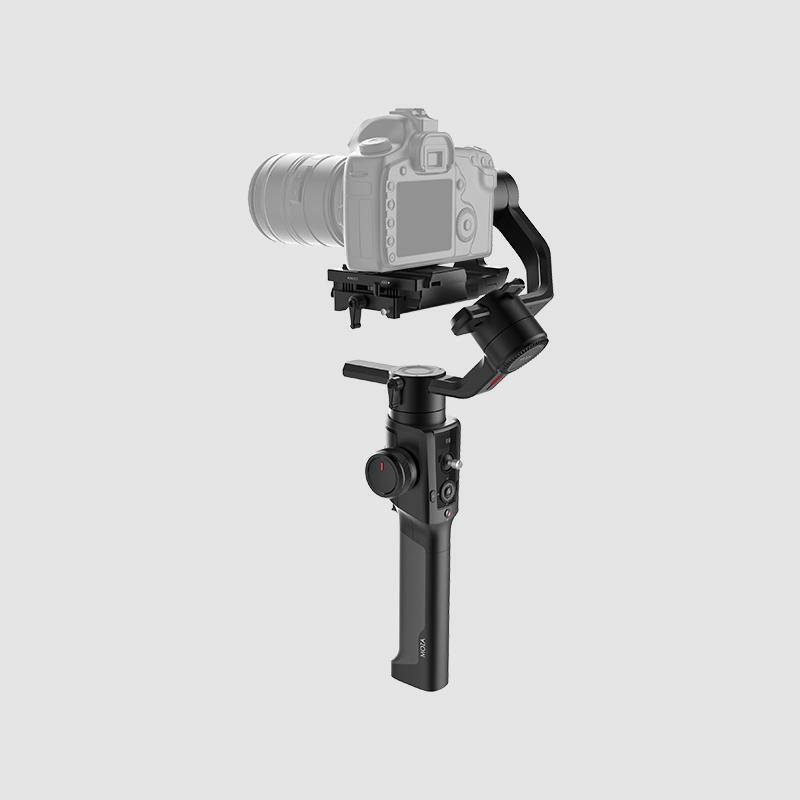 As with most gimbals these days, it utilizes the popular Manfrotto 501PL style tripod plate and will be compatible with MOZA wireless control system (iFOCUS, remote controller and thumb controller). I have been following Gudsen's Instagram page where they have been posting teasers. Once it was revealed that it was the MOZA Air 2, they teased about pricing...the pricing is $599! It will be available for purchase starting today, September 17. Overall, it seems like the MOZA Air 2 should be pretty solid and very heavy duty upgrade over its predecessor. There’s no word on a price or exact release date yet, but if you want to find out more, head on over to the Gudsen website. In the mean time, take a look at our MOZA Air video and our review. We're going to try and get one to bring you a full unboxing and overview of the new gimbal. You can now preorder Aurora HDR 2019, the world’s most popular HDR software. When you preorder, you qualify for a ton of bonus content. Also, use the coupon code “1KIND” at checkout for additional savings. Skylum’s Quantum HDR Engine harnesses the power of AI for a more streamlined editing experience than ever before. It reduces burned-out colors, loss of contrast, noise and unnatural lighting caused by halos and unstable deghosting. The Quantum HDR Engine has taken three years to create within Skylum’s AI lab, and contains the vast knowledge of the development team paired with artificial intelligence to bring you seamless HDR editing, be it with a single image or multiple bracketed shots. 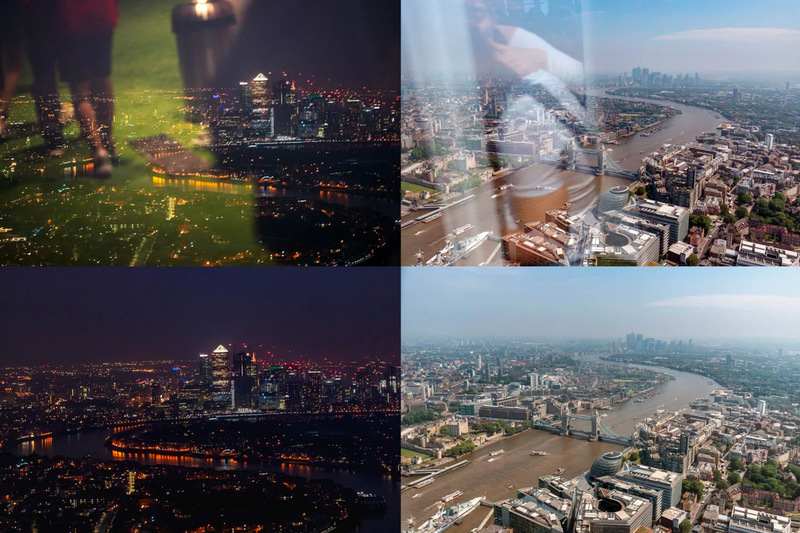 Skylum’s developers tested thousands of bracketed shots through a neural network, and used the results to develop the technology needed for creating incredible HDR photographs – whether it’s real estate, landscape, cityscape or any other type of HDR photography. 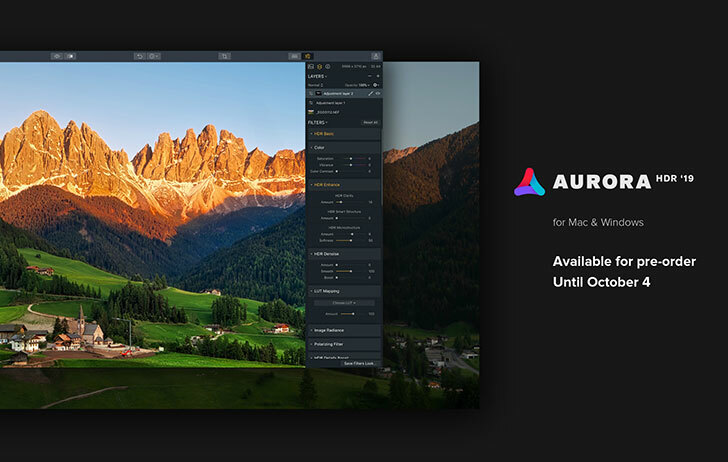 Aurora HDR 2019 is available for pre-order on September, 12, and released on October, 4. 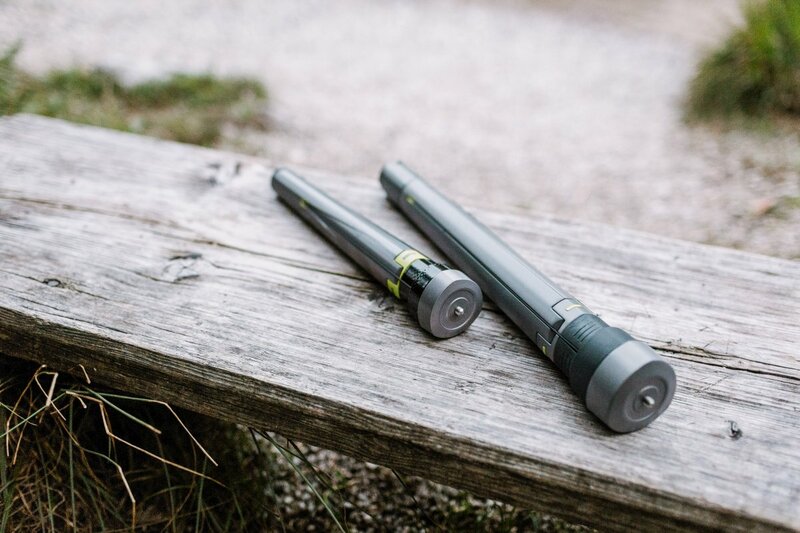 We were contacted by a company called Lumapod about their new Kickstarter campaign for ultra-compact tripod called the Lumapod. 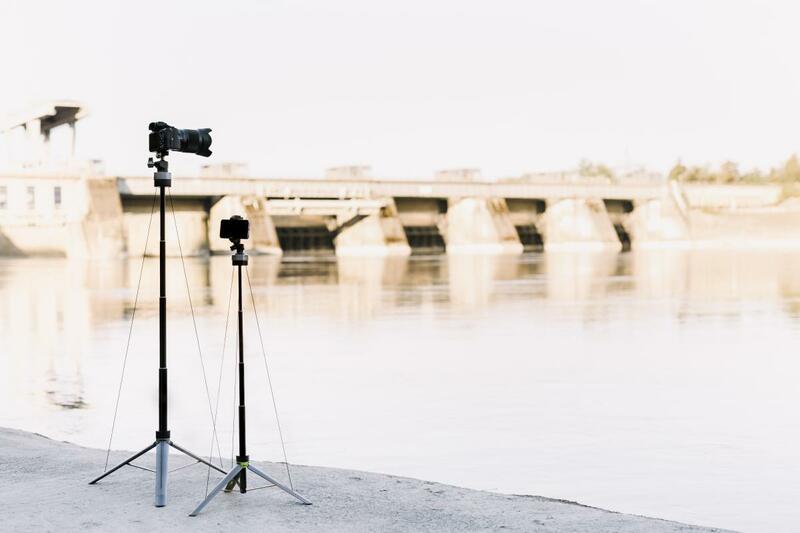 They say it is the fastest tripod and quicker to set up than your conventional tripod...all it takes is 4 seconds! Two sizes are offered: Lumapod Go85 is geared towards smaller gear such as smartphones and action cameras and can support up to 1kg / 2.2lbs. The Lumapod Go120 is for bigger setups such as mirrorless and DSLR cameras and can support up to 2kg /4.4lbs. The Go120 also has modular legs so you can add dolly wheels on it as well. Lumapod’s Kickstarter campaign runs from September 12 through October 25. Its two models will be available for up to 50 percent off of retail sales prices for Kickstarter supporters. Continue for full press release. 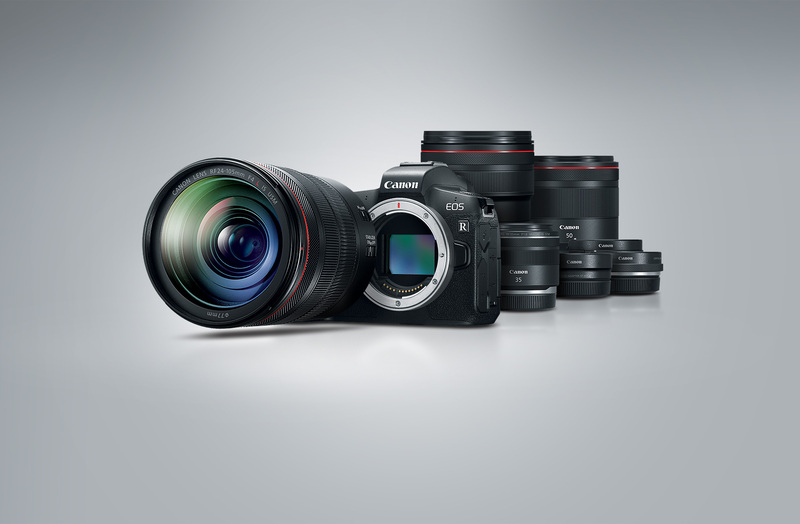 Preorder for the full frame Canon EOS R is now available from authorized dealers. Preorder for the full frame Nikon Z6 and Z7 is available from authorized dealers. Blind Spot, the tight knit team of creatives, are delighted to unveil their 5th Kickstarter, The Power Junkie, which launched on August 7th. 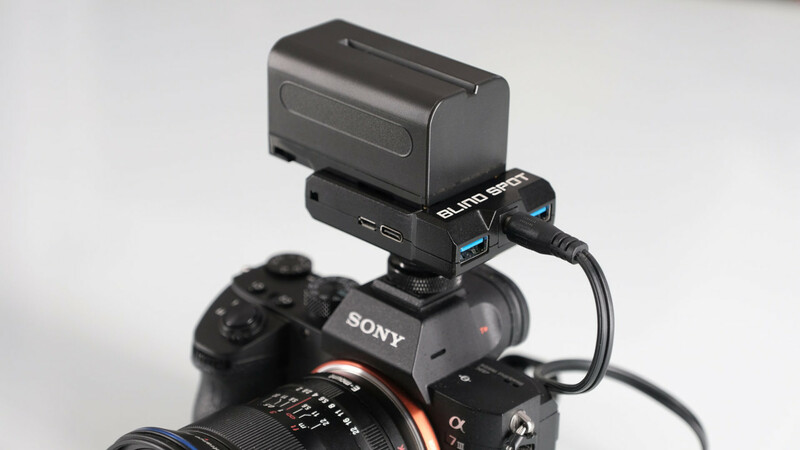 This is going to be the ultimate accessory for any filmmaker, merging the functionality of a battery charger, power bank and camera battery, eliminating the need to carry multiple batteries, cables, adaptors and chargers. The Power Junkie represents the perfect example of the company’s ethos, to provide innovative solutions to problems faced by filmmakers all over the world. Coming in for as low as $45, The Power Junkie is a fraction of the price of its closest alternative. A compact, alternative powering option which lets you power up to 3 devices using the industry standard Sony L-Series NP-F type batteries. 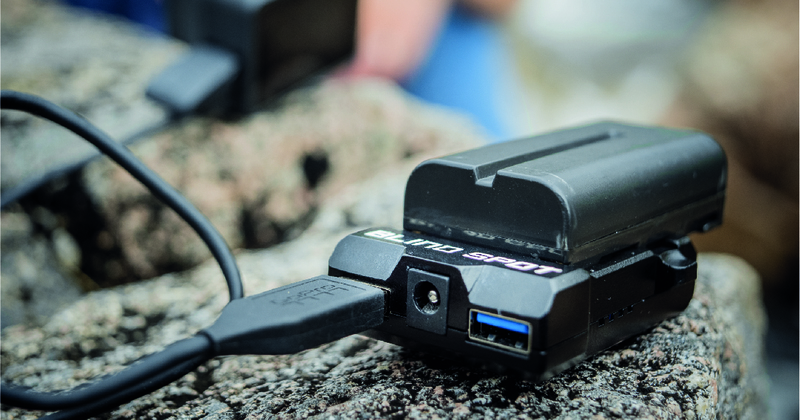 It provides a 7.2V DC output, perfect for powering a camera when coupled with a dummy battery, while also providing two 5V USB outputs (2amp) for powering or charging additional devices such as a smartphone or GoPro. It doesn’t stop there; the Power Junkie will also charge your NP-F batteries, removing the need for yet another a bit of kit. 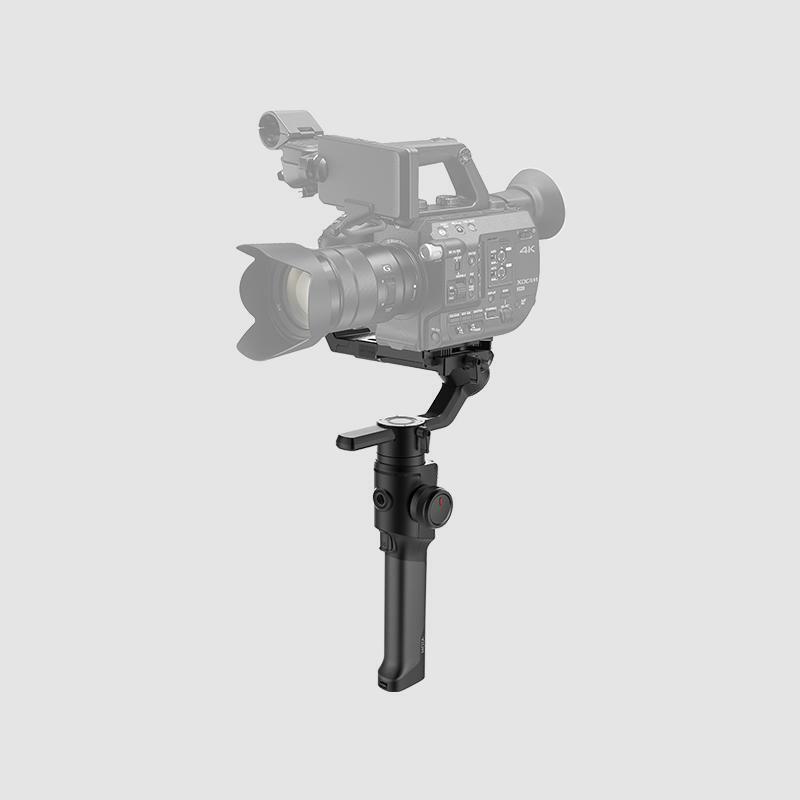 This versatile product is adaptable to suit your needs and camera rig. A standard 1/ 4"-20 thread and cold shoe mount are fixed on the bottom of the unit alongside a cable tie loop fixture providing multiple mounting options. As DSLRs become ever more power hungry what’s so striking is there simply isn’t anything on the market that provides such functionality for a reasonable price. Film makers are expected shell out hundreds of dollars on spare camera batteries. Not anymore! The Power Junkie, combined with a dummy battery, extends your shoot time, saves you hard earned cash and reduces the amount of kit needed in your gear bag by turning your NP-F battery into the ultimate power bank. Blind Spot Gear was founded in late 2013 by engineers Alan Easdale and Jamie Campbell and BAFTA award winning filmmaker, Billy Campbell. Coming out of university they were bored by the lack of innovation in what they perceived as an overpriced film industry. This led them to create a start-up, designing and producing high quality products at a price your average filmmaker could afford. ProMedia Gear has launched a new Kickstarter campaign for their Universal L-Cage Port Protector. The #BP2 is an innovative Port Protector as well as L-Cage Adapter. Replacing a damaged HDMI port is very expensive. While there are other devices on the market, they are designed to only fit single style of camera and offer limited adjust-ability. 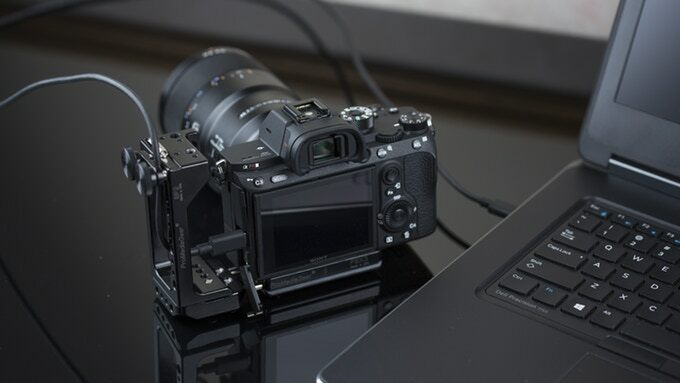 The Universal L-Cage Port Protector is compatible with all current DSLRs and Mirrorless cameras and will allow you to quickly protect your side ports and also attach a wide range of useful accessories including: External Monitors, Lights, Voice Recorders, Microphones, GPS Adapters etc. Adjustable on two axes (fore-aft and side-side), the Universal Port Protector prevents cable snags, plug bumping, and other mishaps that can cause irreparable harm to your fragile camera equipment. The L-Cage Port Protector features 9 UNC 1/4"-20 thread mounts with anti-rotation holes too to support your shooting style; so you can start protecting your equipment right away. The current #BP2 version doesn't work with tall cameras like Nikon D5, or Canon 1Dx, (Canon 5d or Nikon D850 with battery pack) for those a riser piece is needed. Prototypes have been designed and tested but there are currently no plans to release unless the demand is there. The L-Cage starts at $100 and looks to ship November 2018. As one of its daily deals, B&H Photo Video offers the Peak Design Canon EF CaptureLens Kit for $44.95 with free shipping. 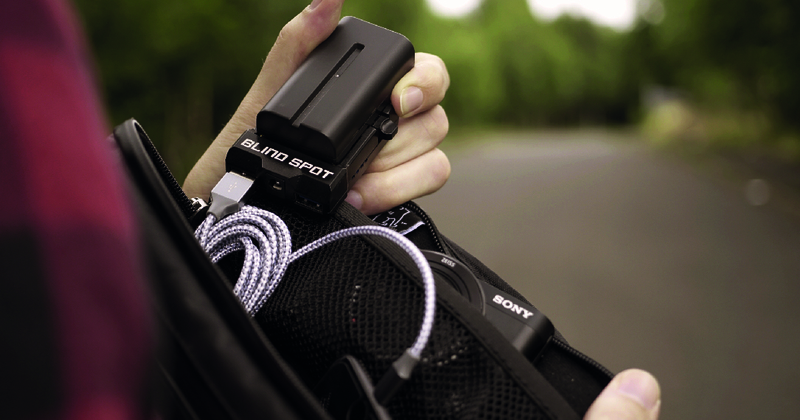 It enables 1-handed lens changing and can be attached to a backpack, strap, bag, or belt. Deal ends today. And if you miss out on this deal, use this LINK to get 10% off when you purchase any Peak Design products from their website. 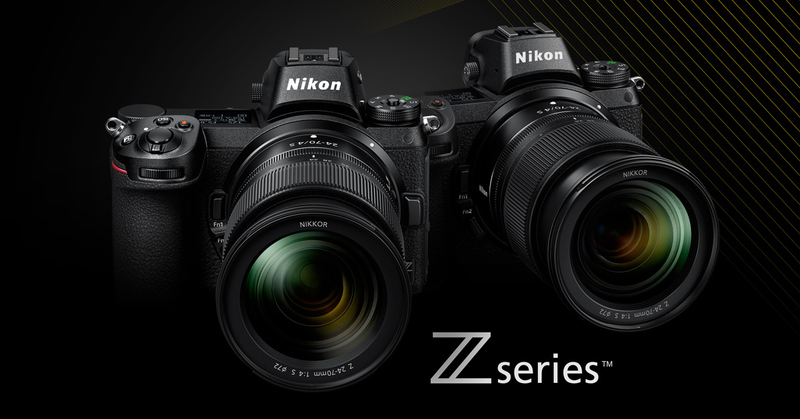 MTF Services has just announced the arrival of a complete range of the world’s first lens adapters for Nikon’s new full-frame mirrorless camera system, the Z-Series.​ There are 4 Nikon Z-Mount adapters available. MTF Services believes Nikon has launched a ‘real’ competitor to Sony’s full-frame mirrorless system. They believe that their new range of lens adapters will help broaden the shooting options for those with collections of rival glass. The new range of Z Series lens adapters from MTF will be shown for the first time during IBC 2018, which takes place between the 13 – 18th September in Amsterdam. They will be available to order at the end of September 2018. Shipping will coincide with availability of initial products from Nikon’s Z Series full-frame mirrorless system. Currently there is no indication about pricing. 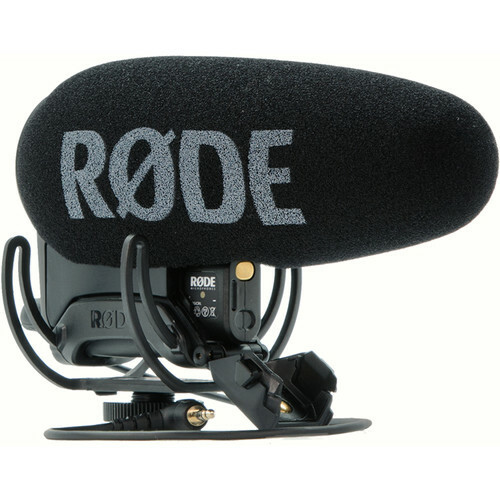 When they are available, you can purchase them from Adorama. 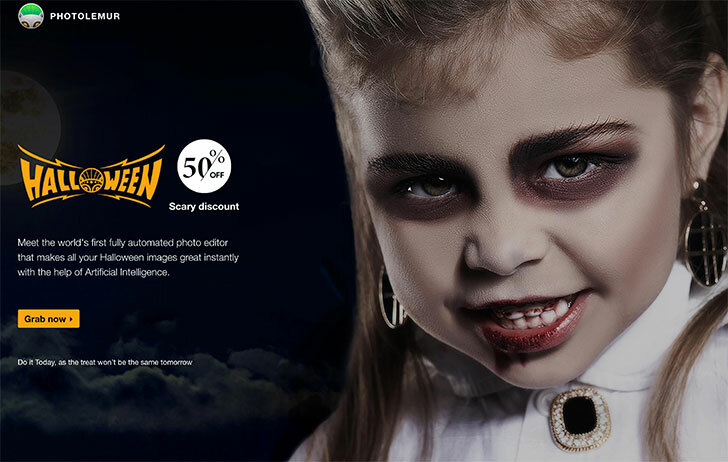 Photolemur is the world’s first fully automated solution for creating perfect photos. It works on Mac and PC, automatically analyzes and perfects your images, and doesn’t require any manual involvement. 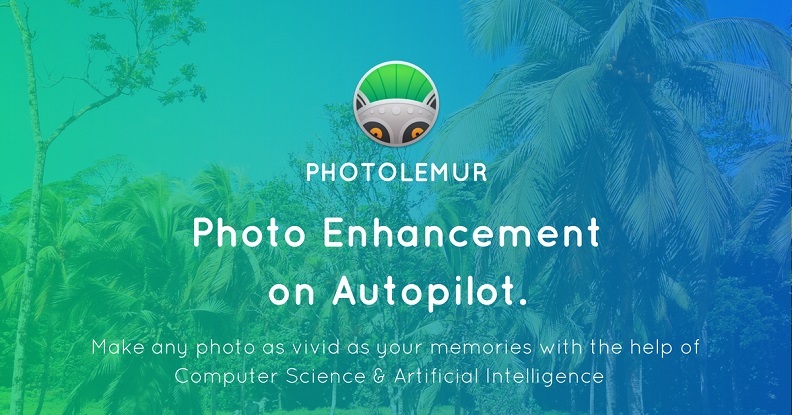 Photolemur is powered by artificial intelligence that recognizes objects, faces, trees, sky, foliage and more; distinguishes between portraits, landscapes and macro photographs; and applies the appropriate enhancements for each type of image. Photolemur 3.0 includes the world's first fully automatic processing and retouching of faces: skin smoothing, removing skin defects, smart eye enlargement and hair structure. The new Photolemur 3.0 version has six new styles along with the ability to impose them on images. The program is also able to enhance a large number of photos simultaneously: more than 200 images at the same time, which will speed up a workflow considerably. Photolemur 3.0 will be available for pre-order on August 28, and released on September 14. A collection of bonuses will also be included in every purchase. 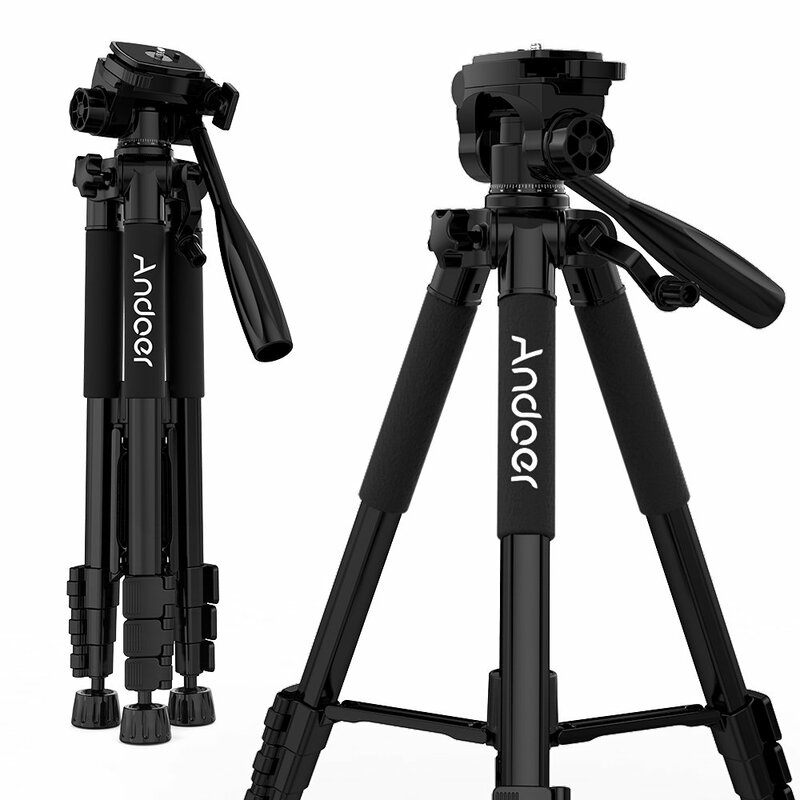 Andoer via Amazon offers the Andoer DSLR Camera Tripod for $35.99. Coupon code "CVU995AQ" cuts it to $17.99 with free shipping. 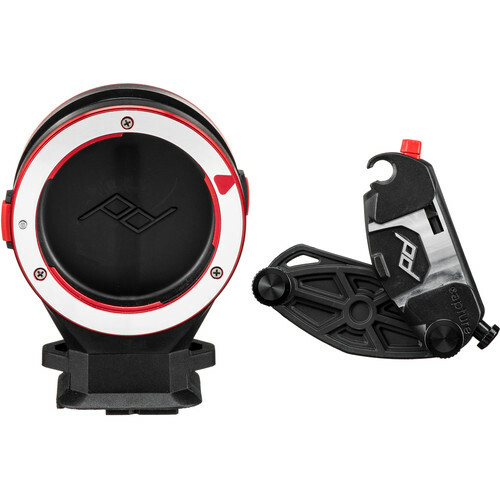 It features a 360° ball head and a 1/4" quick release plate. Deal ends August 31. 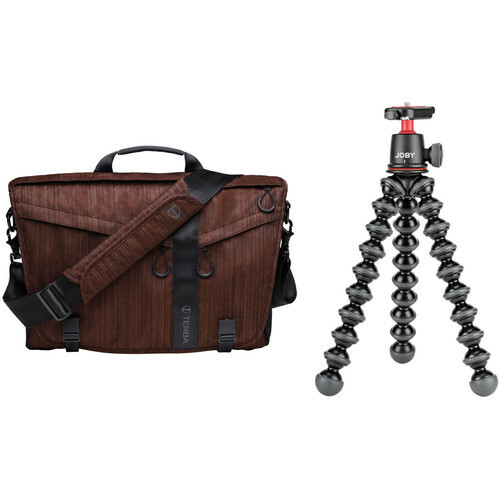 B&H Photo Video offers the Tenba DNA 15" Slim Messenger Bag in Dark Copper, bundled with the Joby GorillaPod 3K Flexible Mini-Tripod with Ball Head Kit, for $79.90 with free shipping. 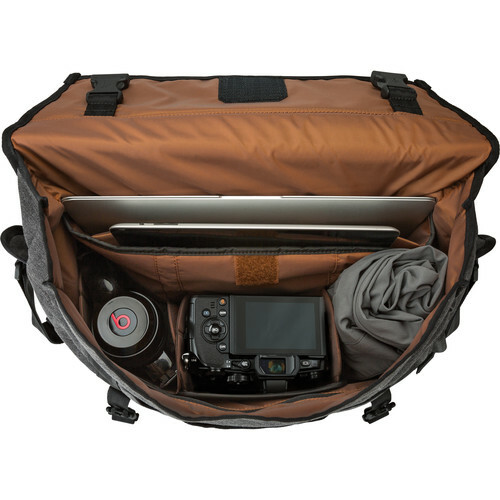 The bag fits laptops up to 15", a DSLR camera with three to four lenses, or a mirrorless camera with four to six lenses. The tripod features 360° panning and 90° tilt. 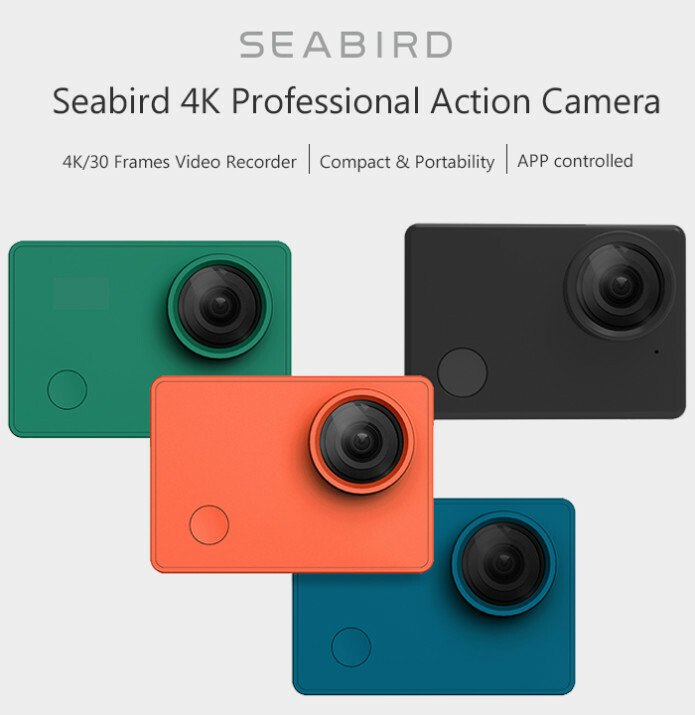 The Seabird 4K HDR Action Camera looks and resembles exactly like a GoPro Hero 3, 3+ and 4 but with features like the GoPro Hero 5. Its packing a HiSilicon Hi3559, 7G lens with 155° FOV, that supports 4K@30fps video recording, up to 4X more detail than HD (FHD, 1080P) and maximum 60Mbps encoding. The 7 layer optical glass lens, alongside 155° viewing angle and f2.4 aperture, making HD images sharper, clearer and more realistic. The Seabird can be used for skydiving, diving, swimming, biking, selfies, snowboarding, skiing, car dashcam and many more. It features a 6-axis gyros detect angular velocity, along with dynamic compensation for shooting scenes, keeping shots stable and detailed without troublesome editing. With lens distortion correction (LDC), Seabird can correct the distortion in real-time. You can get more real recordings and images. Seabird 4K Action Camera supports various shooting modes, like time-lapse video, burst shot, delayed shot, looping video, slow motion and more, that help you to put your cinematic ideas in motion. Seabird can utilize time-lapse video recording to produce magic work that you might have missed in normal life. The time-lapse video compressed and sped up a standard video taken over a period of time, which is often used to shoot dynamic landscapes, city scenes, the celestial event, architecture scene and biological evolution, etc. The Seabird 4K HDR Action Camera is available through Indiegogo and at a very affordable price. You can get it as cheap as $89 for Super Early Bird. Otherwise, its $99. You can also get the Selfie Stick pack which offers a protective case and selfie stick for $118 or the Floating Rod pack which gets you the waterproof case and floating rod. Since it is similar to the GoPro Hero, the Seabird will also work with GoPro Hero accessories. The Ultimate Lens Hood is a new camera accessory that helps you shoot through glass without reflections. 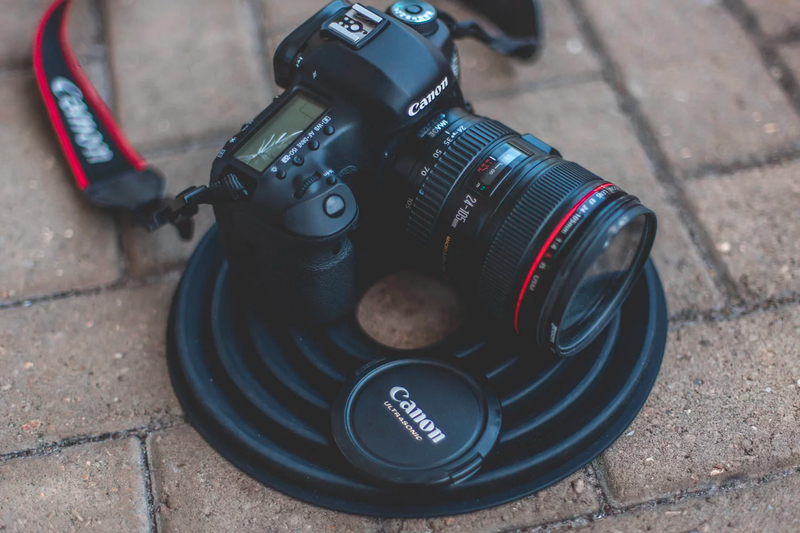 It’s a versatile collapsing silicone cone that can stretch to fit all kinds of camera lenses. Removing glare by day and reflections by night, the ULH can be used any time you need it. Whether you're shooting through a hotel window, a high-rise observation deck, the window of a bus or through an enclosure at the zoo - the ULH makes a massive difference, transforming a bad photo into a great one even before you start editing! 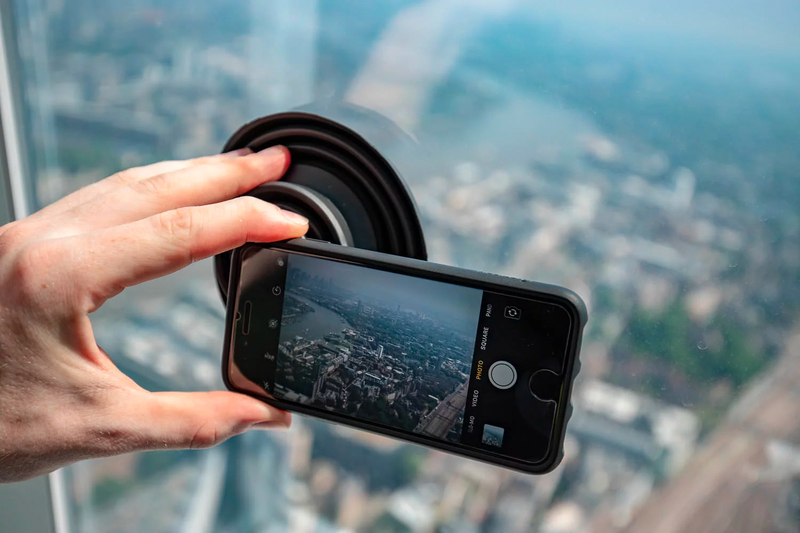 Fits to your lens, rather than attaching to the glass. This means you're free to move around, change your angle and adjust your camera settings without having to detach anything. Leaves no marks on the window. This'll keep you on the good side of venue managers and their staff! The ULH is made of silicone, and is designed to rest against the glass, rather than attach to it. Perfect for crowded areas. Often the busiest tourist attractions leave very little room - or time - for great images. With the ULH on your lens, you take up no more room than you would normally, but your photos will come out better than anyone else's. The standard ULH was designed for DSLR and mirrorless camera lenses, stretching to fit the barrels of even large telephoto lenses (60mm diameter and up). There’s also a ULHmini that’s designed for smartphone lenses and smaller digital cameras (30mm to 60mm). The flexible nature of the ULH allows you to move the camera around and shoot at different angles while the lens hood is pressed firmly against the glass you’re shooting through. Attaching the ULH backward onto your lens allows it to serve as lens protection, keeping things like water, snow, mud, sand, dirt, and dust from hitting your lens body. 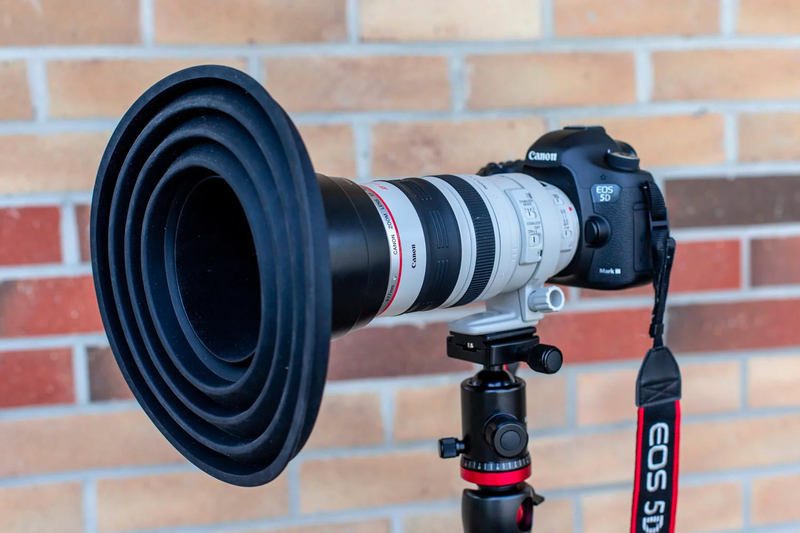 The Ultimate Lens Hood on Kickstarter, has already surpassed its initial $10,000 goal. A pledge of $26 will get you a ULHminis, and a pledge of about $39 will get you a full-sized ULH. $59 will get you one of each. Expected ship date is October 2018. 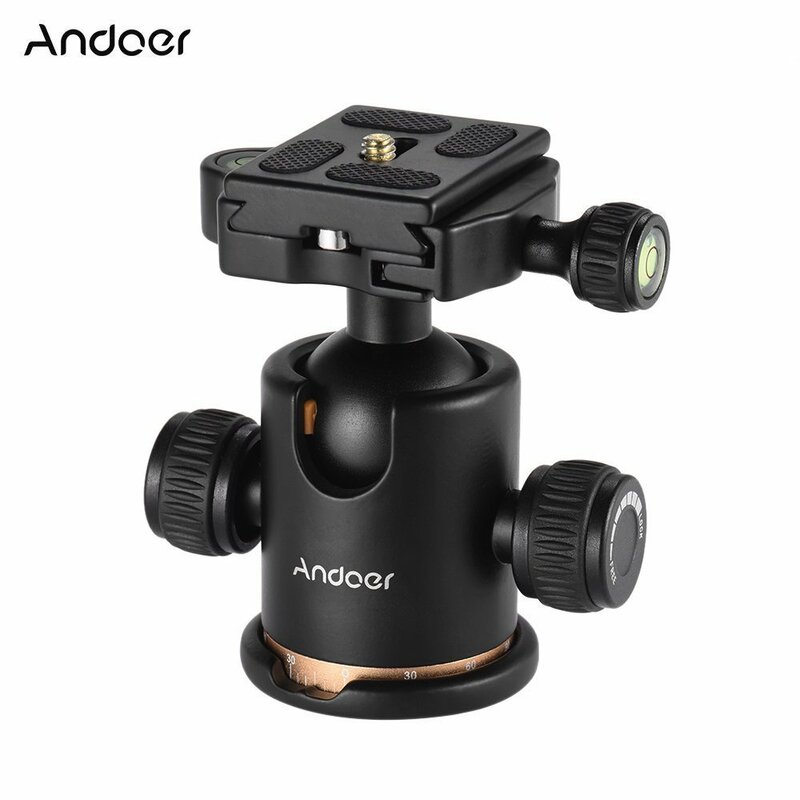 Ellisa-us via Amazon offers the Andoer 360° Fluid Rotation Tripod Head for $19.89. Coupon code "BVGLDMNF" cuts it to $9.94. Plus, Prime members score free shipping. It features three knobs for horizontal, vertical, and side adjustment, a quick-release plate, and built-in bubble levels. Deal ends August 15. Nikon has released an official press release to their full frame mirrorless camera. They did mention that the new camera will have a whole new lens mount and will be compatible with current F-mount lenses with the use of an adapter. In the press release, it seems that Nikon will still be supporting DSLRs and not fully switching over to mirrorless. They also released a teaser video which you can see below. 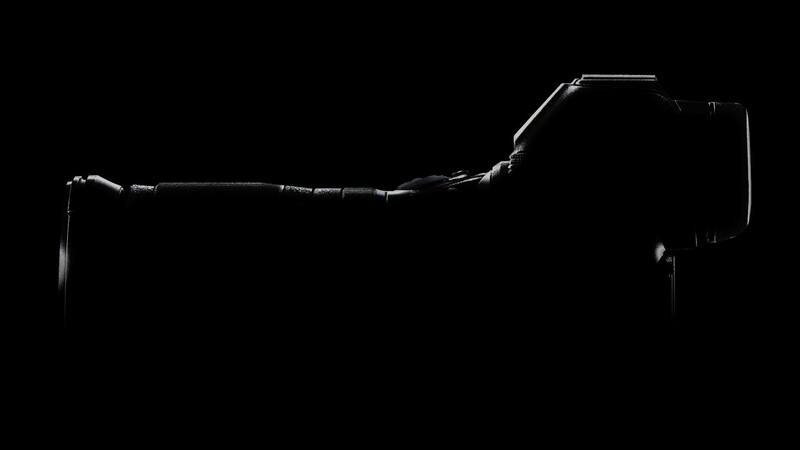 No word on pricing or when it will be available but speculation is that Nikon will make an announcement August 23, 2018 or before Photokina which takes place September 23, 2018. For Canon users, still no official word or teaser about their full frame mirrorless. 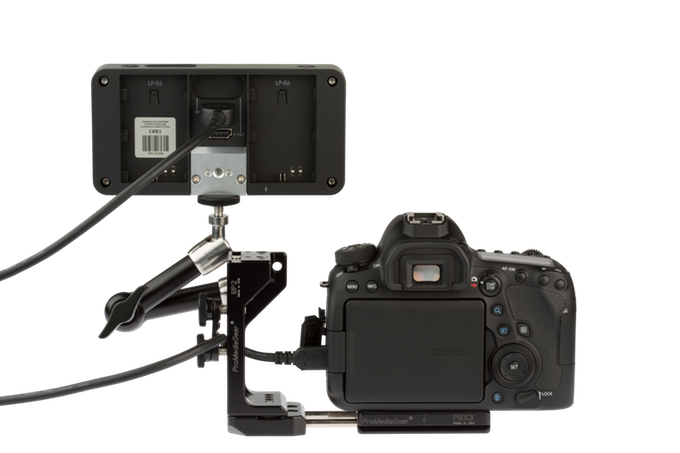 Overview : This mount allows you to attach equipment add-ons such as microphones, monitors, lights, and more. 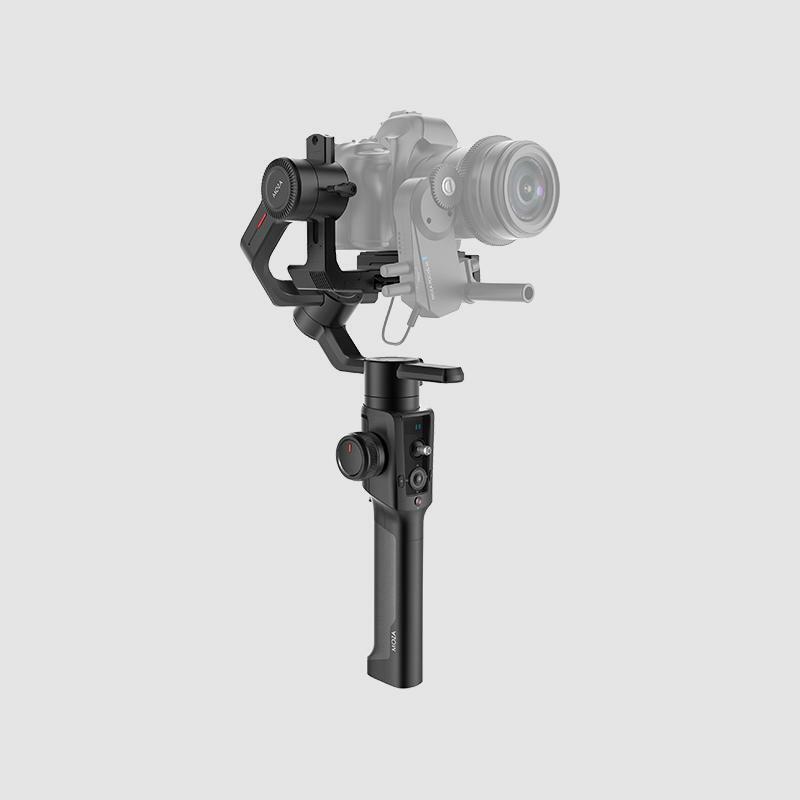 Designed to provide a better experience when using your handheld pistol grip gimbal. Our good friends over at Peak Design have launched their 8TH Kickstarter campaign. This time around they’ve created a thoughtfully designed Travel Backpack along with a complete system of Packing Tools. The design is based around the fact that no two trips are the same. This bag can really fit anyone’s needs. Whether you’re a weekend warrior, backpack across Europe, or a gear haulin’ photographer, you’ll be able to carry it all. 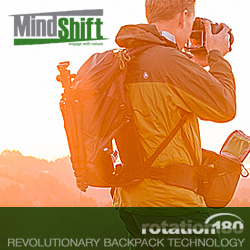 The first product in their Travel Line is the Travel Backpack 45L (MSRP: $299.95); a complete system of Packing Tools. With a focus on versatility, organization, and access, the Travel Line aims to satisfy a simple design directive: no two trips are the same, so the best luggage should adapt to them all. It will come in Black and Sage colorways. You can save 30% off of the expected retail price if you pre-order using our LINK. Don't forget that you can also get 10% off on current Peak Design products by using our link. Continue reading for full press release and specs. If you like the content that we are providing, please consider buying your gear by clicking our links and making your purchases. You won't be paying inflated prices or a penny more but we do get a small commission that helps us keep the site going. This helps us bring more news, deals and especially reviews. The use of affiliate links will never influence the content or opinions of our articles. Copyright © 2011- 1KIND Photography. All Rights Reserved. 1KIND Photography is not affiliated with any manufacturers, businesses or any of its subsidiaries. All trademarks and brands belong to their respective owners.